This property represents a large investment that will generate a huge return on investment. RETURN investment unmatched by long-term lease of each location and department, this means a steady and stable income every month, as well as a very low maintenance expense rate since each tenant covers their own public services, especially electricity that is the higher expense. Get your total investment back in 7 years! The property has just been remodeled by the tenants on the ground floor, the two apartments have a very good remodeling newly made by the owner, with a beautiful studio of 60 square meters and a Pent House with 1.5 bedrooms and 1.5 bathrooms, balcony, jacuzzi and an excellent view of the best of Quinta Avenida. Right in the middle where all the tourists and the local population want to walk during the day and come shopping at night. 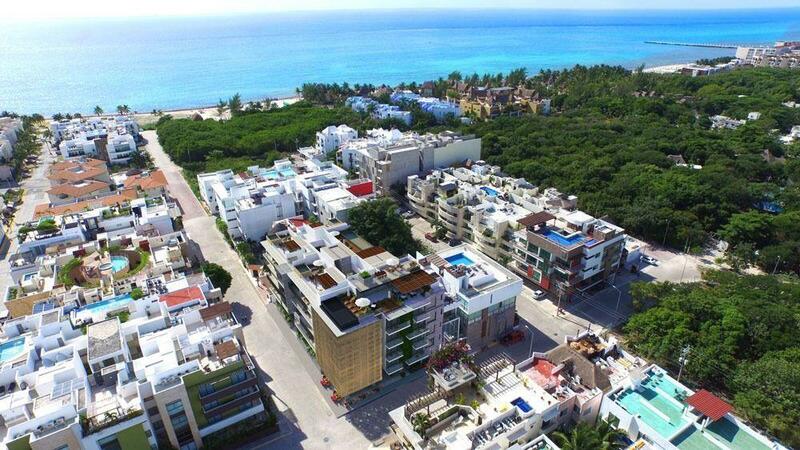 The property is surrounded by the most important shops in the heart of Playa del Carmen. Check the images and call for more information, this is a great place for real estate investment internationally speaking.